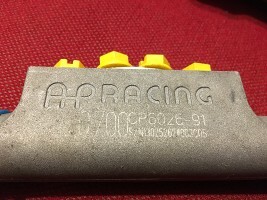 Продавам 2 модела AP RACING алуминиеви, супер леки моторспорт спирачни цилиндри (помпи), двойнодействащи. 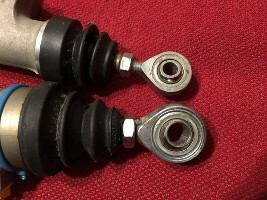 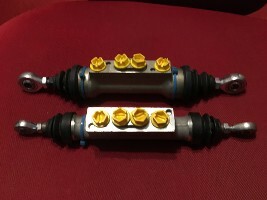 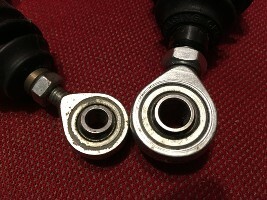 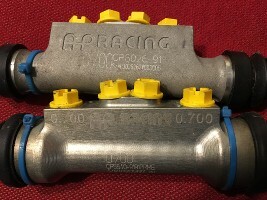 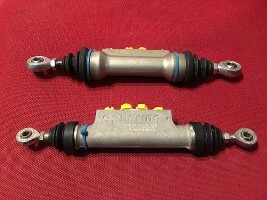 Lightweight double ended (tandem) master cylinder with two separate hydraulic chambers, for either front and rear brake circuits or a hand brake and differential. 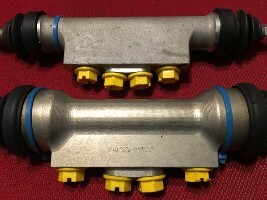 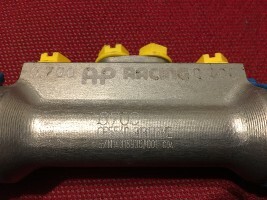 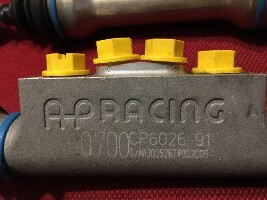 A lightweight master cylinder, designed for use with dual circuits where diagonal brake split is mandatory and mounted using rod ended spherical bearings. 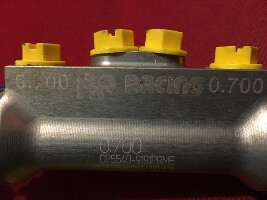 Цена за модел CP5540-9191PRME: 900 лв. 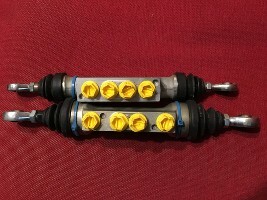 Цена за модел CP6026-91: 600 лв.